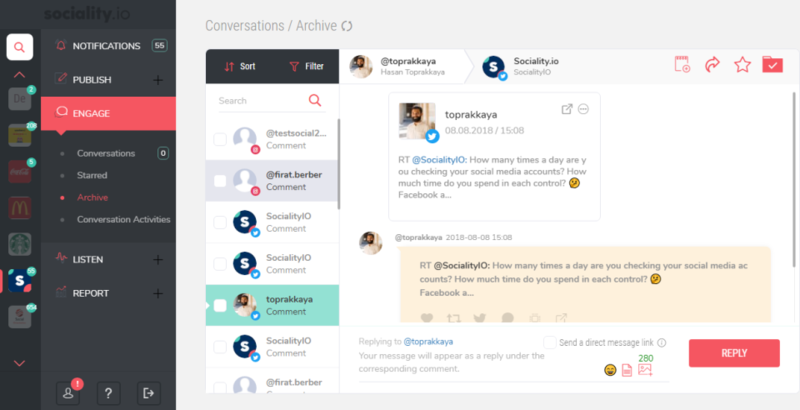 Sociality.io is a social media management platform suitable for use by digital agencies, brands and freelance social media executives. 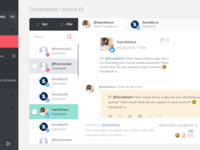 Sociality.io is an all-in-one social media management platform. 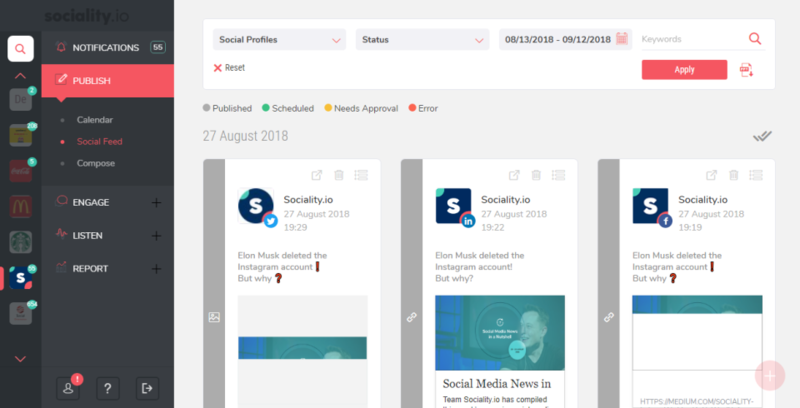 With Sociality.io, you can schedule your contents, report the performance of these contents and download these reports as PPT. 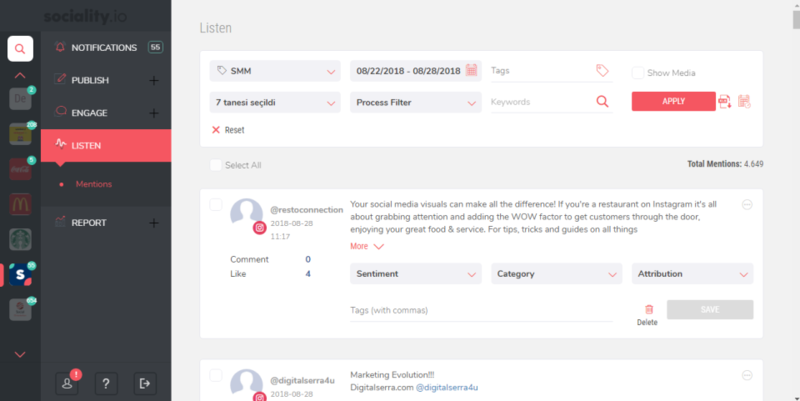 In the listening module, you can track conversations about your brand your competitors on the news, blogs and social media platforms. 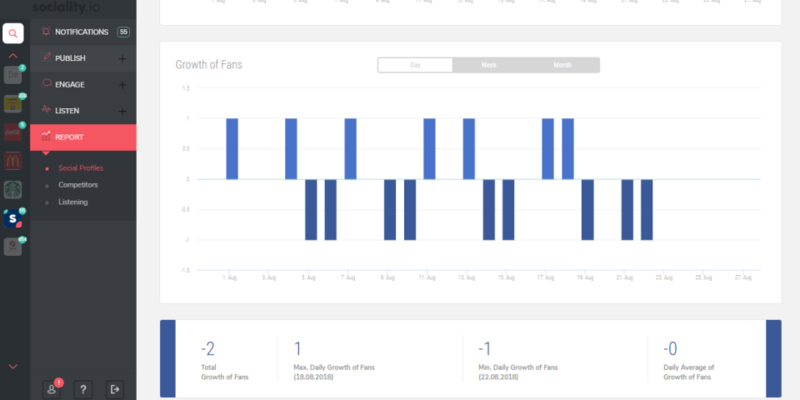 Also, you can add your competitors to Sociality.io to analyze their performance on social media. Pros: It's easy and practical to manage the social media accounts, able to be interacting with customers and followers at real time. Service always has a proper answer to solve your issues. Cons: So far my experience with the software it's good, only recommendation as there are so many users that manage the software it will be good to have information from who answer each message, etc. 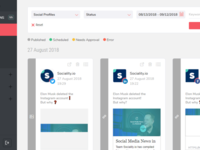 Overall: Sociality offer the opportunity to manage all your social media accounts and be interacting with the customers in real time, customer service is very helpful and really well trained, always able to offer you support and prompt solutions. Pros: When I face a problem I get help really quickly even though my problem is not always solved. However they do their best to help me with the problem. Other thing I like about this software is that it is very easy to use and get used to. When I first started to work as a social media specialist I used Sociality and it really went good for me to get used to it. I've been working with Sociality since 2016 and it has developed in years. With the latest update I could say it is much easier to work. Cons: I sometimes have issues with notifications and it creates a problem when I'd like to share posts. This unfortunately happens regularly. So I always feel like I need to check if everything is fine. I also have issues with the reports sometimes. It might analyze my social media accounts' incorrect and I have to fix it myself. Overall: It helps me sharing the social media posts on time. So I don't have to do these manual. Cons: It answers to many issues of social media management. Pros: We like speech, listening and category features. Cons: They can organize digital communication meetings. Overall: The team and the technical infrastructure are very good. 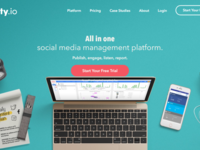 Pros: To manage a lot of social media networks on one platform. Cons: It is not possible to export report with excel format. Pros: When we need an opponents analysis, we can take data from several opponents. Also customer servise is fast and helpful about any problem we're facing. Cons: Our brands' "Access Tokens" loose contact very often. We need to activate them to avoid loosing data. Overall: For our brands' point of need, it's efficient and useful, but not so easy to use. Even while we adding brands, we need to open all accounts and page on the next tab of used browser. They need to some little things to make the tool more user friendly. Pros: I absolutely love how they have always been available to respond our questions or request very quicky. Cons: Currently the main limitation of sociality for me is not having auto-publish for Instagram posts. Overall: Sociality has been amazingly useful for my work. Where I work we do not have a permanent social media team, or one responsible person, but we work collectively, with everyone contributing with something. Sociality has proved a very useful tool to coordinate the work. 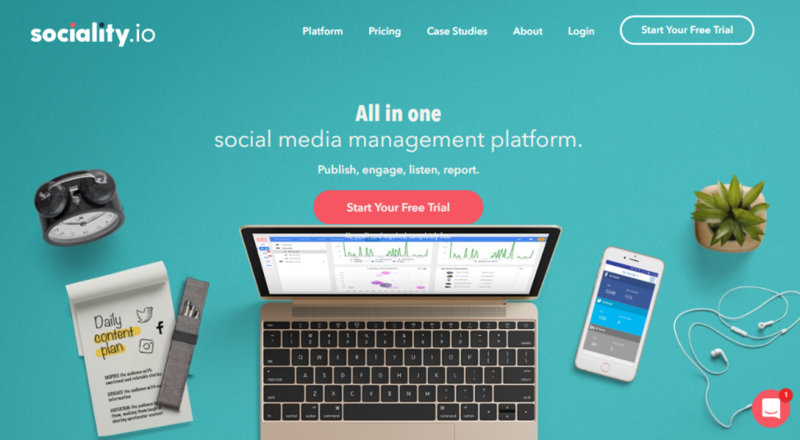 Great tool for social media reports! 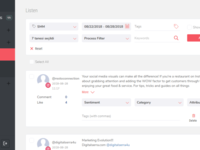 Pros: I generally use Sociality.io to prepare social media reports. It has user friendly interface that makes easier to prepare social media reports. It is gathering our competitors data in useful graphics. It also helps me to find heavy users of my brands' on social media channels. Cons: I couldn't get use to moderate comments and DM's via Socality.io. It can be about my habits, I am still using Facebook and Instagram panels for CRM. Overall: It's making your job easier by its multifunctional structure that contains scheduling, reporting, moderation, monitoring. Pros: When we meet with Sociality, it was an amateur enterprise. I think that amateur sprit was the best part of Sociality. They solve too fast when we send our problem to them. While we using a version of Sociality, they have worked for a new version of it and they upgrade free our policy to new version. Cons: There were some problem in report panel. Also sometimes the data is giving by Sociality is not similar with Facebook/Instagram/Twitter's data. I think they have to improve the report part. Overall: I have been using Sociality for 2 years. I have prepared too many presentations using by Sociality. Also i have planned and shared tons of content with it. Pros: Easy to use and customer services are on point all the time whenever i need them. Cons: only con for me is not having a share photo option on linkedin due to linkedin partnership queue. Overall: As a digital strategist, it is very important to see every action and schedule in a single page makes my life and my teams easier. Pros: user experience and easy reporting! The software ise easy to use and to learn. Cons: It would be great for us to be able to get historical data, especially on Twitter. Overall: Together with the CRM team, we can manage all questions and complaints from the social media without any problems. Pros: This software has a great money/performance advantage. 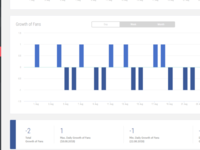 It makes very easy to measure and report the social activity. Cons: The design was not so easy to navigate. Pros: It makes our job easier on schedule and report. Cons: We also need contenct to schedule on linkedin.